As an all volunteer PSIA ski school, volunteers are at the heart of the organization. Volunteers do the administration, training, teaching, and fund raising for the organization. If you are interested in volunteering and would like to share your love of skiing and snowboarding with others, please contact us for info on volunteering. 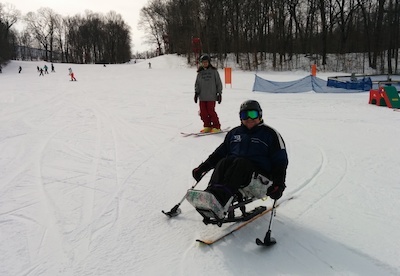 SEWASP offers on and off hill training related to adaptive ski instruction, adaptive equipment, and disability for volunteers. Don't have time to volunteer? Please consider donating.